Dr. Tyler Nelson is a recent graduate of Logan University, obtaining his doctorate of chiropractic medicine in April of 2014 and his masters in exercise rehabilitation in September of that same year. He completed his masters internship at Brigham Young Universities under Brett Mortensen and is currently one of the chiropractic physicians for the BYU athletics department. He is currently dry needling certified and trained in sport’s performance rehabilitation with an emphasis on functional movement and neuromuscular re-education. He received his Certified Strength and Conditioning Specialist certificate through the NSCA in 2015 and enjoys writing strength programs for athletes in the Salt Lake valley. Currently Tyler is an adjunct faculty member at SLCC where he teaches human anatomy and physiology. His primary interest is in neurobiological pain science and furthering the protocols and guidelines created for treating chronic spinal pain. I met Tyler at Steve Bechtel’s Climbing Training Seminar in Lander this May where we were both instructors. 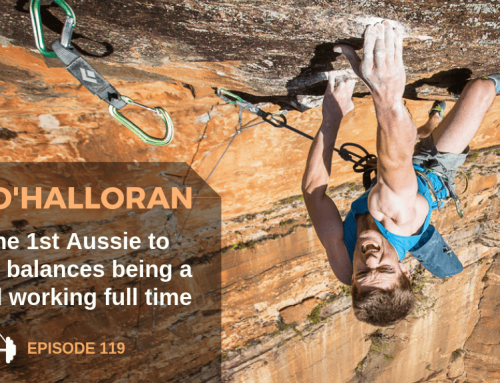 He is well-spoken and a wealth of knowledge about how the human body responds to climbing and training. His jobs are to help people get stronger and to help them recover from injuries, so that’s exactly what we talked about in the interview. You can find Tyler near Salt Lake City at his clinic, Camp 4 Human Performance, where he creates programs and treats all kinds of athletes. If you’re interested in being a student at one of Steve Bechtel’s upcoming coaching seminars, you’re in luck! There’s one scheduled for October 27-29th, 2017 in Salt Lake City and you can find more info on it here (link no longer available). 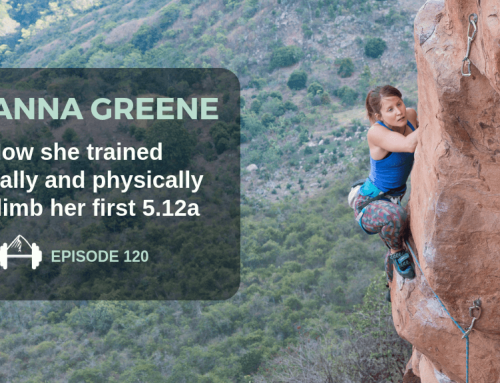 Neely Quinn: Welcome to the TrainingBeta Podcast, where I talk with climbers and trainers about how we can get a little better at our favorite sport. I’m your host, Neely Quinn, and today I have a skip in my step, because we’re about eight days out form going to Norway and climbing at Flatanger. I’m going with my good friend Paige Claassen and my husband Seth Lytton, and I’m super excited. Even though I’m eight weeks out from shoulder surgery and I’m not climbing super hard, I’m really excited to get a taste of Norwegian granite and climb on these long beautiful climbs, and to watch Paige try to go for her 14c project that she has picked out for herself in the big cave that you see Adam Ondra on in all of the videos. So that should be really fun, and I’m going to be on social media a lot while we are there, which is abnormal for me. Usually Matt Pincus does out social media stuff, but we are going to be taking photos and videos and hopefully doing some interviews with Paige, and maybe some Norwegian climbers. You can find those on the blog at trainingbeta.com, but also on Instagram, @trainingbeta, and on Facebook at @trainingbeta. 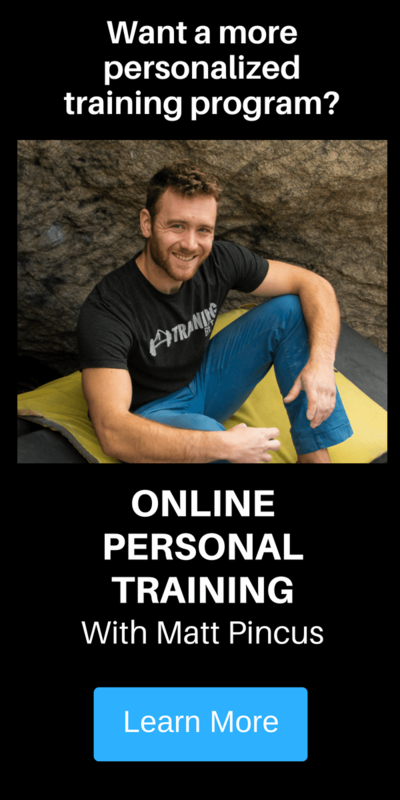 So other than that, if you need any training help yourself, if you have a big trip coming up like I do, or if you just in general want to get stronger, TrainingBeta has a bunch of training programs for you. What we try to do is gather the all of best information about training, the clearest information that you can put into use right away. Our training programs definitely follow suit with that. 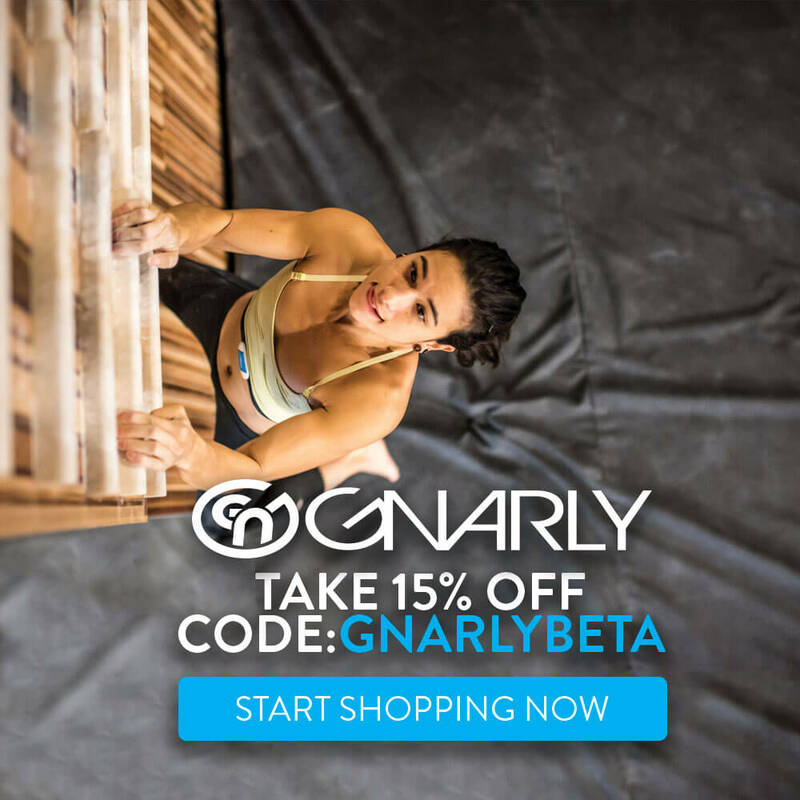 If you are a boulderer, a route climber, if you just want to train finger strength or power endurance, we have program for you. 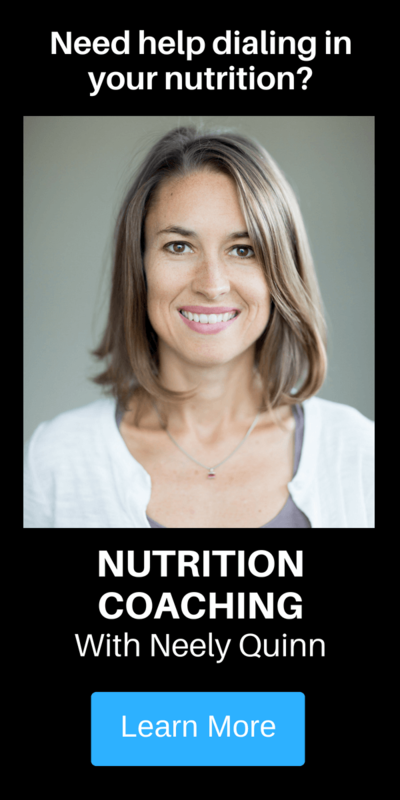 They are super affordable, and they are written by highly qualified trainers around the country. 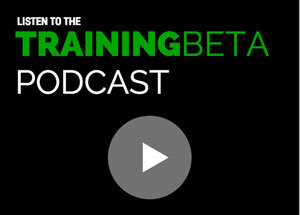 You can go to trainingbeta.com, and at the top there is a link to all of our training programs. 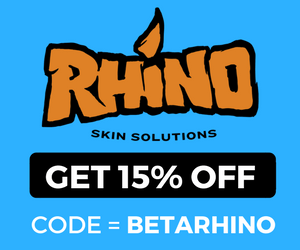 Every time you purchase those, it helps support the podcast and everything else we do here at TrainingBeta. Okay so moving onto the actual interview that you have come here for, Tyler Nelson is my guest today. Tyler is an extremely intelligent guy who I met at the Steve Bechtel training seminar back in May of this year. I did a class on nutrition to all of the climbers who came to that, and he was there teaching us all about physiology and anatomy, and how the body works and how it’s affected by different kinds of training. He’s super intelligent- like I said- and he retains a lot of knowledge. It was impressive to watch him speak and teach. I really wanted you guys to get a taste of that, and that’s why he’s on the show. The other thing that I find super interesting about Tyler is that he uses this- it’s kind of an unconventional way of training, and it’s called blood flow restriction training. He’s going to tell you all about it, but basically it’s just very different than normal training. It’s been working really well in his clinics, so he’s gong to tell you about that too. So without further ado, here’s Tyler Nelson, and I hope you enjoy the interview. Neely Quinn: Welcome to the show Tyler, thank you very much for being with me today. Tyler Nelson: Thanks for having me, happy to be here. Neely Quinn: Yeah. So for anybody who doesn’t know who Tyler Nelson is, can you tell us a little bit about yourself? Tyler Nelson: You bet. So I own a private chiropractic clinic in Salt Lake City, UT. I also serve as a strength and conditioning coach, and I have a strength conditioning business that I kind of run on the side. My background is in strength conditioning and exercise rehabilitation. So I do a lot of rehabilitation on climbing related injuries, and as a response to injury, I create new strength conditioning programs for my clients that have pain related to any sort of athletic endeavor. Neely Quinn: That’s a great package deal that your clients and patients get. Tyler Nelson: Yeah, I spent two years in graduate school doing a dual doctorate and master’s degree, in which the master’s degree was all about exercise rehabilitation. I don’t really utilize that much specific exercise rehab anymore that I learned in school, and I cater all my clients more towards the strength conditioning side, which goes really nice together. Neely Quinn: Okay so bring me through your education really quick, because you have a lot of letters behind your name. Tyler Nelson: Most of the letters behind my name- the DC behind my name just stands for “Doctor of Chiropractic”, so that is my chiropractic professional degree that I got in Missouri. My MS is a master’s degree that I got in exercise science that I got from the University of Missouri, and Logan College. I finished that master’s internship at Brigham Young University. The CSCS stands for “certified strength conditioning specialist”, which is through the NSCA, which simply means that I am capable of creating strength and conditioning programs for all types of athletes. Obviously I am interested in rock climbing athletes in particular. Neely Quinn: And then you got a PhD? Tyler Nelson: No, not yet. Not a PhD right now. Tyler Nelson: So there’s a couple of different programs that I am looking into, getting into a PhD program, but that’s not a credential I have right now. Neely Quinn: And you also have, like, ten jobs. So tell me a little bit about what you do for a living. Tyler Nelson: I have a couple of jobs. So my primary source of income obviously is my private clinic, which I run by myself. Then I have a couple of people who work for me that help do some sports massage therapy, as well as helping with e exercise rehabilitation in the clinic. Then I have my strength and conditioning business, which I do kind of as a tie-in between my clinic and outside. I have a small facility in my clinic where I can train athletes, but I will also use my membership at the local gym, and my client’s membership as well, to help train a little bit there. I also teach anatomy and physiology at a local community college, which I got into right out of school as a means to make sure I remember all the stuff that I learned in school, specifically in the anatomy labs. I have the opportunity to work in a human anatomy lab still, where I get to teach undergraduate students about human anatomy and physiology. Then I also work as a sports medicine physician for BYU for their football team. I grew up playing football and wrestled, so I really have an interest in college football- I love college football. I get to spend a lot of time in the fall traveling with the college football team and working with athletes in that regard. Tyler Nelson: Yeah. But those are the primary sources of income that I consume in terms of a job, I guess. The other most important and busiest job in my life is being a dad. I have three kids, so my time is very occupied, I guess you could say. Neely Quinn: Yeah you’re a busy guy, and you’re not very old either. You’ve done a lot in a very short time. Neely Quinn: Yeah, so nice work with that Tyler. So now, tell me what- you spend most of your time in your private practice? Neely Quinn: Okay. And you spend most of your time with climbers? Tyler Nelson: Um, I wouldn’t say most of my time. I probably spend 30-35% of my time working specifically with climbing related injuries. But as a chiropractor, obviously the number one complaint in the world is low back pain, so I certainly see a lot of low back pain clients in the clinic, both athletic and just the general population. Which is also kind of a passion of mine- in my early 20s I had a certain substantial amount of back pain myself, so I’m very interested in chronic musculoskeletal pain, specifically non-specific low back pain. One of the PhD programs I’m looking into is in neuroscience, because I’m really interested in the neurobiology of pain, and how we interpret sensory information, and our lives that create these chronic pain complaints that people have that we can’t really pin down. Neely Quinn: Is that kind of why you got into all of this in the first place? Tyler Nelson: I think I got into sports medicine and health care from my father. My father was a chiropractor for 35 years and he worked at a clinic in Salt Lake. He was a sports guy, he played college football and baseball. I grew up around it my whole life, so Steve Young and a lot of professional athletes used to come to my house as a kid to see my father. So I’ve always been inundated with my father treating patients. It kind of fit nicely when I was in school- my first bachelor’s degree is in culturally anthropology, and I’m very interested in a sub-discipline called medical anthropology. When I was out of school, I had to make some obviously hard decisions about what you want to do for the rest of your life, and I had a really good opportunity to move to Missouri and train with my father, so I took that opportunity and that’s where I’m at today. Neely Quinn: Oh, so your father was a mentor as a chiropractor? Tyler Nelson: Uhuh, yup. So I got to spend a lot of time with him in Missouri and working with the University of Missouri, and then three years starting this practice in Salt Lake. Neely Quinn: Well that’s interesting, because I was actually going to ask you if you feel like your practice as a chiropractor is different than your dad’s, as an older generation. Because you seem to be in the more modern, Natasha Barnes type of practice. Tyler Nelson: Oh yeah. Yeah, yeah. And I’m not really- I mean, me and Natasha communicate on Instagram, and I’m assuming that we practice probably pretty similarly. But my father was pretty cutting edge back in the day. He’s not too much of an old school chiropractor in that sense. Again, he always surrounded himself with medical doctors, physical therapists, strength and conditioning people working at a collegiate level. So he was always around medicine as a whole, and not just kind of isolated. That’s kind of one that becomes a problem as a health care provider that kind of on your own, you fall victim to being secluded from the rest of the world. And that was before social media and the internet. Now it’s so easy to find information that I think that happens less. Tyler Nelson: Still, when my father was a practitioner even twenty years ago, the concept of structuralism as primary principle to understand people’s pain is kind of going by the wayside, and I think that’s a good thing. Neely Quinn: So how do you treat people who come in with low back pain, or whatever it might be? Tyler Nelson: So, pain itself is just a really tricky moving target. There’s many reasons why people can be experiencing spinal pain- non-specific spinal pain. When people speak of non-specific spinal pain, they’re referring to people who don’t have disc herniations, people that don’t have acute annular tears, people that have just kind of non-specific symptoms. Paint hat moves from side to side, pain that can travel up and down the spine, pain that can’t be reproduced by a specific motion. It’s not the same all the time- it’s non-specific low back pain. Really the best thing a provider can do- and I was just reading a big systematic review recently that was published that talked about acute non-specific low back pain. That clinic is largely based on educating people about the current concepts of pain science, about how pain is created and the multi-factorial nature of pain, and then emphasize them to have an active lifestyle. Regardless of the exercise, that’s part of the reason why I don’t really do a whole lot of “spinal stabilization” exercises that I learned in school- the science doesn’t say that they are any more helpful than just general exercise. The exercise prescription has to be largely based on the individual’s interest, what they like to do. If you give someone a bunch of exercises that are very time consuming, that they don’t enjoy doing, that are uncomfortable for them, that’s not a good experience for them and it’s not going to be a helpful resolution to their pain complaint. That’s another really important function, is to just make sure they stay active. And whether people like it or not, non-steroidal anti-inflammatories are really helpful. I get a lot of people that come into my clinic that say “I don’t want to take the medication”, and I totally understand that and respect that, and I don’t take a lot of medication myself. But there is a time and place where things like that are really helpful for people, so they can take an opportunity to get over the symptoms- they kinda gotta get over the hump, if you will, in terms of being so concerned about this. So me, my new patient exams usually take about an hour with clients, where I have to sit down with them and and of delve through there who training history, I have to talk about their lifestyle, any potential toxic relationships they have in their life. And we don’t get too into detail to that, but just to make sure that the client is aware that those thing really matter, and those things really have an impact on health and well being and this expression of pain that they are having. It’s largely a corrective exercise strategy, right? And then you can say “What do you like to do? What is it that you want to do, what are your goals with your treatment, what are your goals in the next couple of months in your life? Where do you want to be in the next couple of months?”. And we build a simple program that starts very simple, with the concept of graded exposure. You just slowly expose them to a particular stressful experience, something that may be scary for them, and then you just slowly introduce it back into their life. Most people will respond pretty well to that. Neely Quinn: Can you give me an example? 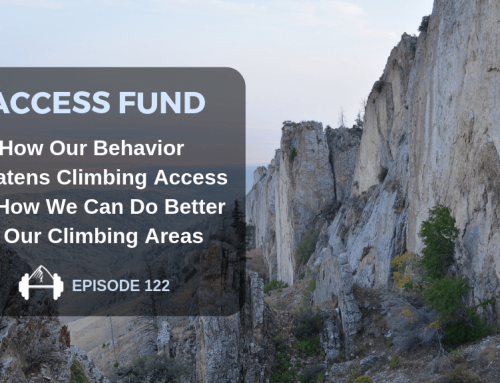 Do you have a climbing client right now who you can take about? I mean, obviously not giving any names- but in how you are working with them? Tyler Nelson: There’s not tons- well there are a couple of climbing clients I guess that have low back pain. Neely Quinn: Or not necessarily low back pain, just whatever. Tyler Nelson: Oh. I mean low back pain is the most specific. I mean I can use myself as an example too. Two weeks ago I woke up, I’ve been training pretty hard, and the real emphasis for me about the strength and conditioning side of my business, is there is no special rehabilitation exercise. There’s no special therapeutic tool that will every be better than having a really good structured program. For me, the most important thing for my clients is to make sure that they understand that they can’t just do whatever they want anymore right? You can’t just randomly go to the gym and load yourself as much as you want for a couple of hours, five or six days a week. Something is going to break down, right? So making sure that they understand that is a really, really important thing. 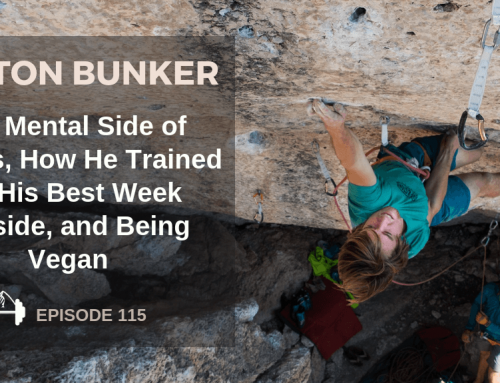 For myself, a couple of weeks ago, I’d been going through a pretty good training cycle when we got back from Lander, and I was training pretty hard to do a big route. I was supposed to take a week off, and I knew that I was supposed to take a week off, and I felt really fatigued, and I was like “Okay”. I went to the gym one day on a Tuesday, and then I went to the gym one day on a Friday. I was doing a training protocol pull-up intervals, where I was doing a thirty second timer, and every thirty seconds I would do five pull-ups, for twenty rounds, right? Tyler Nelson: So that’s a good amount of pull-ups. But pull-ups for [unclear] is kind of a trigger for me, and pull-ups, surprisingly, create a lot of compression on the lumbar spine. I have an annular tear that I’ve had in my lower back that I’ve had since my 20s, that doesn’t really bother me ever anymore, until I get really, really fatigued. So I woke up- that night I went to my in-laws house up north, and we were home late, and I got up at 4:30 in the morning to go do a route close to me that’s a really easy slab route that people climb by themselves that’s really fun. I just had this pain in my back, and went down my left, down to bend my left knee. I hobbled up to the wall, I got there and I just did not feel right. I was like “Okay, I’m gonna turn around and go home”. I went back to my house, and then by the time I got there, I felt like there was an arrow sticking into my calf. I literally limped around for a week- it felt like I pulled part of my calf muscle. It really felt like I hurt one of the gastrocnemius heads. I know it’s coming form my back, because I can feel it coming from my back, but as an experience for me, the best thing to understand when you have a pain complaint like that, is to know that it’s not going to kill you. Know that I’m not going to lose function of my lower extremities. I stood on my toes, I stood on my heels to make sure my nervous system is functioning well. And those things can be pain generating still, even without a dramatic injury. I made sure I did all the neurological testing, and then I literally took a week, took it pretty easy for a week. I made sure I got plenty of water, I made sure I rested, I made sure I didn’t do anything dramatic. At that moment, bending over and lifting something up off the floor sounded like a terrible idea, right? In the short term, you want to take a client and make sure that they avoid the things that are really scary to them. You’re scared of it because your brain develops these different movement patterns and this different muscle tightness in certain parts of your body as a protective response. It’s really good that when we have pain our bodies make our muscles tight. It does that on purpose, so we don’t really hurt ourselves. Most of the time we get pain before we get a true injury. I listen to all the principles that I tell my clients, and I always think it’s really good for me to get hurt so I can experience it again and empathize with my patients. So I hobbled around for a week and then the second week it slowly got better. I applied all sorts of therapies to it. Here at my clinic I had our massage therapist work on it a lot. I even had him kind of experimentally do some dry needling onto my calf, because he’s pretty knowledgable about the anatomy and I sort of walked him through it. I did all the things I do to my clients, you know, and then, this is two and a half weeks now and I’m probably 80% better. There was nothing special or unique about what I did. There’s no magic pill, there’s no go to exercise, it’s just you need to make sure you calm it down. I definitely was taking some rounds of Ibuprofen where I was taking 1600mg a day for the first week, just to calm it down and calm my brain down. And then started introducing exercise again. Started doing things like glute bridges, started doing rack pulls with really light weight, you know those motions that actually seems fearful originally, you want to get back into that. One of the biggest concerns that practitioners like myself have with people that have experienced pain, if I put you through a certain type of screening protocol, or expect you to move a certain way even when you are in pain, a lot of times that can create more fear with a client. I try to be really sensitive to the neurology side of people’s pain experiences. A lot of times that makes my job much more simple- not having to overcomplicate the language that I use with my patients. Neely Quinn: Okay. So that’s for sort of a traumatic or acute injury, I should say? Where you just want to calm everything down, not freak anything out, and get some needling done and maybe chiropractic- does that sound right? Tyler Nelson: Yeah, I mean there’s lots of different options you can do. In my opinion, the chiropractic side of health care an the benefits to that are all neurological as well. So most of the therapies that physical therapists provide, that chiropractors provide, that massage therapists provide, they’re all having an effect on the brain, and then brain’s ability to perceive the body. I always tell me clients, I say “Do what you like to do, and whatever feels good to you in the short term, is probably helping. If you’re doing something, if you are laying there in agony and you’re scared as hell, and you just can’t wait for your therapy to be over, that type of therapy is not helping you”. The same thing applies for any kind of exercise. I have tons of people who come in and ask me “Do I need to do yoga to make me more flexible?”. That opens a whole different, complicated topic. I say “Do you like doing it?”, and if they say “I love doing yoga, I do yoga four days a week”, I say “Great, go back to doing yoga, avoid positions that seem scary”. But if it’s someone like me, who is incredibly uncomfortable doing yoga, because I’m just really tight all over genetically, I’d say “I hate doing yoga, it makes me feel uncomfortable, I don’t feel like I’m good at it”, then I say “Okay, then yoga isn’t going to be helpful for you”. Those types of things are important for people to understand when they are dealing with a healthcare provider. Neely Quinn: Okay. And what if somebody came in with a chronic injury? Same kinds of things? Tyler Nelson: Very similar, but the chronic injuries are going to be even more in depth on the education side. People that don’t have limbs, people that have their limbs blown off in war, can still have pain that limb that’s not there. The neurological side of people’s pain experiences has a lot to do with something call the brain map, and the way that your body is imprinted on your brain. Your body is imprinted on your brain, and the cells of your brain communicate all over n different parts of your brain to create some experience that you have of pain. If you had your initial pain when you are moving, you can have the cells of your pain experience coupled with the cells of moving, so that can prolong the pain, even far after you have an injury that’s healed, with that same movement. The complicated side of that is just, it’s really… there’s so much that we don’t even understand about how people experience pain, but that’s kind of the newest model of thinking in terms of really trying for practitioners to understand and really educate people. That’s probably one of the most important things any healthcare provider can do. I think thats kind of a new up can coming thing. 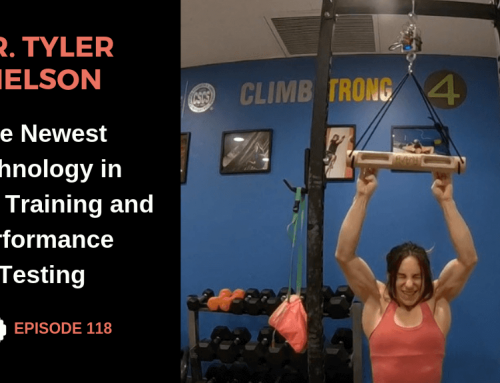 I know some of the physical therapists around the valley here that are climbers that I know pretty well, and then I know Natasha- they’re both on board with those same principles, so I think it’s kind of an new age healthcare provider thing. It’s no longer a good idea, at all, for someone to walk into a doctor’s office and for them not to explain what they are going to. Even clients who are coming to me after going to other doctors, I ask them how much they had been taught about pain, and they’re like “Nothing. They just tell me to take this and go away”. I think that’s a good thing abut being solo healthcare provider- we get to have more versatility, maybe is the word I want to use. Neely Quinn: Yeah, can you give me an example of how you’ve used that knowledge and what you’ve taught people in certain situations? Like maybe give me one example? Tyler Nelson: So I mean, in terms of chronic back pain, a really good example would be people who come in with chronic back pain- they’ve been labeled. One of the hard things with patients that have specific pathologies- so MRI imaging is really, really powerful- an amazing tool to really look at someone’s spine, and look at the soft tissues of someone’s spine. There are really far reaching implications of telling someone that there is something wrong with their spine. Most people, the collagen- your skin is composed mostly of collagen. Your discs in your back are primarily composed of collagen. The collagen on your skin wrinkles over time- the same thing happens in your spine. The intervertebral discs in the spine also lose their biomechanics stability and properties, so they sag a little bit. Disc bulging is a totally normal phenomena, and disc herniations are not as normal of a phenomena, but they happen quite frequently. It should not be a limiter to you in your life, and gauging what you do. I have tons of people, it’s quite interesting that they are usually females my age and your age, between 35 and their mid-40s- not that you are in your mid 40s, but I think you are in your early 40s. Neely Quinn: I’m in my late 30s, Tyler, come on. Tyler Nelson: Oh- in your late 30s. I thought you just had a birthday when you were in Lander- we sang you “Happy Birthday”! Neely Quinn: Yeah I didn’t turn 40 yet! Tyler Nelson: Oh man, maybe you have to cut that out, sorry! But females your age, that are physically active, that have one or multiple kids, that have a divorce in their life, that have a disc herniation, that have a ton of low back pain. One of the primary things I do with those clients is obviously educate them about how common disc herniations are, and how they shouldn’t be a limiting factor for them to doing things in their life. They can have a normal life, and they can do normal things, they just really need to be cognizant about how much they are doing. Generally speaking, a lot of those clients will be exercising five to six days a week, right? Because maybe being single has something to do with wanting to look really good, so they are overactive about how much they are exercising. So overactivity and underactivity essentially do the same amount of stress. It’s really really hard to find this neutral balance, but taking someone like that and saying “You can do your exercises again”- and that’s why I use my facility and my gym. I have them do squats, I have them do deadlifts, and I have them do a few simple modifications to find an exercise routine that is comfortable for them, that their body can handle, and then we start working from there. Neely Quinn: I think it’s so interesting, because I hear so many people, and especially older people, men and women, they’re like “I don’t exercises because I have back pain”. And in my mind, I’m like, well you probably have back pain- and I’m not an expert- because it’s weak and you need to exercise it. And then you go to the doctor, and they’re like “You shouldn’t use this, this is dangerous, you’re sick”. Tyler Nelson: Yeah I mean, stuff like that happens, and I’ve had clients come to me who have seen other types of physicians, surgeons, and they’ll say “If you fall the wrong way you’re going to go paralyzed”. And in this particular case, the MRI was certainly not that dramatic and not that scary, but it’s really hard to predict why people say certain things to patients. I usually don’t fault the physicians for that- it could be the interpretation. The communication is really hard. That’s one of my favorite things about being a professor- really learning to communicate with people is such an important part of my job. When I was first at a school I was not that good at it. I was young and fairly confident, and sometimes- everyone responds differently to a physician. Having a demeanor that is trying to keep it very simple but trying to be very forward and listening to a patient is something that is a really important skill to earn, that I guess only comes with time. I’ve gotten a little better at it, but I still struggle with that. Tyler Nelson: But those things are really important. Tyler Nelson: And I don’t even like to use the term “strengthen”, right? Because if you have someone come in here with pain, and you say “Okay we are going to do these exercises to strengthen your back”, that implies to them that their back isn’t strong already. Being overly strong is just as big of a problem as being under strong, right? People that have massive amounts of force that can be generated through their lumbar spine can also… and there’s not a good relationship. Science does not tell us that having a weak spine makes you more inclined to have back pain, or having a strong spine makes you less inclined to have back pain. Those things are not well related in the science. It’s not even that. I take it more from a neurologic perspective. To me, the benefits of doing manipulation- I use manipulation in my office solely as another way to provide a service that provides a different type of information to the brain. If you have a segment of your spine that isn’t moving well, it’s designed to move a little bit at least. If we can restore a little bit of that motion, it sends a different type of sensory to the brain, called “proprioception”. Which essentially can compete with information that could be perceived as painful. With most of my clients that I use strength and conditioning programs for, I say “Here’s a foam roller, here is how to do it in your mid back yourself”. There is a good amount of science, a good amount of literature that says doing thoracic mobilization is really helpful for neck and low back pain. I usually give it up to the clients. It’s not good for my bottom line in terms of me making more money, but that’s something that I’ve always taken a stance against in my clinic. Seeing someone a lot of times, three times, I see people that come in from automobile accidents from other clinics that go there there days a week for two months or something. I’m like, what the hell are you doing in that many visits? Most of that care should be done on their own. My job is to educate people. My job is to rule out something really dangerous, make sure there is nothing that is really life threatening that we need to act on or refer out to another physician- which I do quite frequently. My job is to get people motivated again to move and give them some tools so they can get out. Most people respond really good to that. Neely Quinn: Hmm. Yeah, that was me. I went to a chiropractor three times a week for six months. I was like “This isn’t doing anything, I’m going to a Rolfer”. Tyler Nelson: Well I mean, the problem with doing that is you go to someone for so long, patients are eventually going to get annoyed. It’s so hard to predict when you are going to have pain, so you go to a physician, you feel great afterwards, and you wake up the next day and hurt, and you say “Oh that didn’t work”. And the next day you wake up, and you said “I feel amazing”. There’s no real reason to understand why you maybe had a good day, and why you had a really bad flare up. That’s when it comes into the neurologic side, and really kind of… I usually give my clients a journal, and say “You need to keep a journal, and you need to keep track of what you do droning the day, because everything in your life is a stressor. Your children are a stressor, your family relationships a stressor, the relationships at your work a stressor. I don’t care about how you are sitting at your work, just try and move around as much as you can. The amount of activity or lack of activity that you do is a source of stress”. All those things should be considered in a training program. We need to understand how much someone can tolerate, and then if they are doing too much, we need to back off. Most of the time, to be honest, with my climbing clients that come in and say “Okay what do I need to do?”, I say “How much are you climbing?”. Most of my job is taking things away than it is giving people additional stuff to do. If I give you additional stuff to do, that’s just another source of stress. If people have a shoulder complaint, in my opinion, a lot of times if they are a climber and really active, the last thing they need to do is more exercise on their shoulder, they need to stop climbing so much. Or they need to work around their shoulder pain and find another type of exercise for a period of time until the symptoms calm down. I tend to not like to over prescribe rehabilitation exercises, because in my opinion it’s just another source of stress. I used to do that to myself in my twenties. I was really active climbing, hiking, and skiing. I worked as a painter, and I was going to college. My back would get sore all the time. I would come home and do push-ups, pull-ups, I would do core strengthening exercises. I would stretch, religiously, and all it did was make my symptoms last longer. All I had to do, all I needed was someone to say “Why don’t you stop doing so much?”. It’s kind of built into an athletes mind, because I’ve played sports since I was a little kid, and all the athletes that I treat are the same way. The concept that more is better is very, very hard to break in an athletic mindset, but it’s so important for people to get better from their symptoms. Neely Quinn: Yeah, that’s really good to hear, and I think that as climbers, I mean not me- but people tend to do that. They’re like, overachievers. With my nutrition clients, I’m like “You need to rest more, and then you’ll actually lose weight”, and then they lose weight. Tyler Nelson: It’s so hard to teach people to do less. Especially because climbing is fun, and people love what they do. Especially some of these young kids who are really talented, they just want to keep playing hard. And I totally get it, I’m the same way. And like I hurt myself a couple of weeks ago, I didn’t listen to my own advice, it’s really, really hard to do. Neely Quinn: Well at least you didn’t go up the climb. I was expecting you to be like “I just did the climb anyway”. Tyler Nelson: No. I’ve heard of it being really fun, but it’s really hot in Salt Lake, and it was the end of June, first of July. There was sun at the very top, it was early in the morning and there was already sun on it. I was like “No way, this doesn’t look fun” [laughs]. Neely Quinn: You actually just didn’t want to do it! Tyler Nelson: And I’m usually not like that, I’m usually pretty psyched, but I got up there and was like “I’m glad nobody’s up here because I’m totally bailing” [laughs]. Neely Quinn: Okay so I’m going to go back to something that you’ve mentioned a few times. You said something about how doing things that are scary for people is important. So, when people have injuries, it’s often the case where it’s a finger injury, or an ankle injury, they don’t want to do certain things even maybe past the point where they should be doing them because they’re scared. Can you talk about that a little more? Tyler Nelson: Yeah, I think it depends on the body area. I think, and I know you said finger and ankle, but if you talk about the spine, people are way more scared about their necks and backs, for sure, than they are about their ankles. Most people have as little kids rolled their ankle, you kinda walk it off, have a coach pat you on the back and say “Walk it off, you’re gonna be fine”. And ankles heal pretty fast, and people don’t tend to be that worried about ankles. Finger injuries, climbers tend to be really, really concerned about, because climbers, that’s a very large part of the brain map. I don’t know that it’s been studied by an FMRI, but it’s a really interesting thing to look at the body map. These body maps can change over time based on the priority that we put on a body part. So climber’s fingers on the brain, the area is probably quite large because we spend so much time using our fingers to use different types of holds, to generate force, to put tension on the ligaments and soft tissues of the hands. So people are very concerned about their fingers. The spine is really scary though, because you can’t see it. You can look at your finger and say “Oh that looks swollen, I better back off, I better stop doing that. I know that it’s going to be okay though, because I can see it. There’s no blood, there’s no tearing, I can still move it”. But the spine is a whole different story because it’s really deep in there. You feel all crooked, and you’re like “Something is wrong. Something has shifted, I feel like my bones are rotated in an abnormal way”. So I think the spine, at least form my experience, has been the most concerning and scary experience for people. You can’t go through life without bending over and picking stuff up, and people with spinal pain are terrified to bend over and pick stuff up. So that’s a primary treatment modality, is to convince them that bending over and picking stuff up is not going to change their symptoms, and it’s not a necessarily inherently dangerous activity. 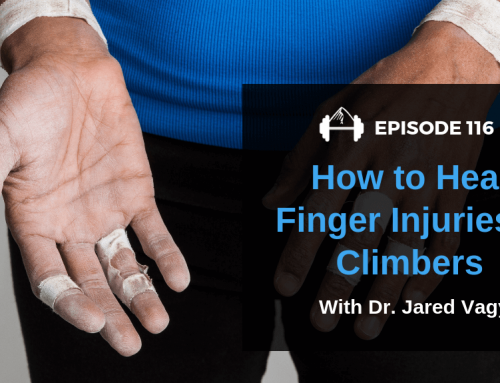 Climbers and fingers… I think most climbers are very aware, especially if they’ve heard a pop and they’ve partially torn part of a pulley- spraining the pulleys is more common than actually getting an injury to the part of one of the tendons. And so you hear those “pop” stories. But those generally resolve- most people generally resolve really well. I mean, in three years of treating lots of climbers I’ve never seen a full thickness pulley tear, where you actually get the bowstring in the hand. I’ve seen them in textbooks and on the internet but I’ve never seen a client with one of those. Neely Quinn: So I guess what I want to know also, is with finger injuries- and I know it’s different for each one- and ankle injuries, and back injuries how long should they sit it out if they have one of those injuries? Tyler Nelson: Um, I think it just depends on the extent and how long they’ve been climbing, and the types of climbing that they like to do. Generally I haven’t seen any climbers that have come in here with finger injuries that are sport climbers or trad climbers predominantly. It’s predominantly boulderers that climb in the gym. There’s lots of injuries right now that I’m treating because it’s hot in Utah and they are spending lots of time inside at the bouldering gym, climbing three or four days a week and projecting stuff, multiple days in a row. I usually tell people, and it’s kind of different for everyone obviously, but we will have them load. I’ll use a little tool in here, the Gripple, that a lot of people know about. I’ll have them load isometrically, add weight, to see if we can reproduce their symptoms. I usually give a baseline of, if this isn’t something that is reproduced, if you can crimp on it and you don’t get a sharp pain, it’s probably not anything that’s torn in the acute setting. Most climbers experience something that they call tenosynovitis, which is when there is little bags around your tendons that go out to your fingers, and those synovial sheaths are responsible for providing nutrition to the tendons and removing waste products. When we continually stress them and push all the substance out of them, they get inflamed and sore. That’s where a lot of climber’s finger pain comes form, as well as the joints- the two ends of the cartilage joints that kind of press together. So I mean, my very first question that I ask people is “When was the last time you took a couple weeks off?”. And they say “A couple of weeks? Why would I? I’ve never taken a couple of weeks off”. And I’m like “Well, there’s no other sport in the world that doesn’t take time off, so why do we think that we are the exception?”. If it’s not during a competition season, if it’s between seasons, I say take a week off at least, and follow ups with me in a week. I’ll give them some really light, easy loading things to do just so they can keep moving their fingers so they don’t sit around freaking to about it. Then I follow up with them in a week and say “If you still have any pain we are going to take another week off”. Most climbers, again, the people that are listening to the podcast, they say “Man my finger has been sore for a while, I’ve been trying to do all these therapy exercises and all this extra stuff”. I mean, you have to think about it. When was the last time you literally took two weeks off and didn’t load your fingers? Most people would say “I’ve never done that”. Neely Quinn: Well what do you think about Esther Smith’s protocol then, to be loading them and to be stressing them? Tyler Nelson: It just depends on the injury. I think with a chronic injury that’s a great thing, because with the chronic injuries- and the tendinitis literature has mostly been done on the patella tendon and the achilles tendon- but even with chronic tendinitis, there is still 75 to 80% healthy tissue, so they’re okay to load, right? And it just depends if it’s a chronic injury that they have rested already, and they’ve kind of tried to get back into climbing but it still gets sore every once in a while, then starting to load them is okay, and putting them on a fingerboard protocol. But in my experience from there, I would get a diagnostic ultrasound and really get a good diagnosis of the pathology, or an MRI. Neely Quinn: Okay. And then what? Tyler Nelson: I mean, I’ve sent some clients to get injections, to get steroid injections in their synovial sheaths. I haven’t had to to cath anyone necessarily in the finger, but that’s commonly done as well. If people have too much loading, right, your body can only tolerate so much flexion, so much stress on those tendons. There’s some other nutritional stuff that people do. There is some more expensive products that people can buy that are probably pretty promising that I would do for some of my high level athletes. Neely Quinn: Like what, Tyler? Do tell. Tyler Nelson: I don’t think that’s the term they use. I forget it. The brand is called Forté, it was created by the orthopedic surgeon from BYU. It’s just a really compounded product of nutritional supplement, but it’s ridiculously dense and ridiculously expensive. And so the orthopedic surgeon, he does shoulders and knees- he created it for post-operative… and I don’t remember, that’s your wheelhouse, I’m not that knowledgable about nutrition to be honest. Sometimes they use it at Brigham Young, and for any athlete that has a chronic tendinitis or chronic strain, they definitely put them on it and they have a pretty good response with it, but it’s really expensive. Most climbers are hesitant to say “Oh great, I’m gonna spend $500 a month for a couple of months to make this heal faster”. Most people would take the road of “I’m gonna back off this for a little bit and then start loading it”. Neely Quinn: Yeah. That’s interesting though, I’ll definitely look into that. Tyler Nelson: Yeah I can send you some information about it. Neely Quinn: Cool. And I can link to it in the show notes, everybody. Okay, so one of the big things I want to talk to you about is when we were at Steve Bechtel’s training seminar, you brought blood flow restriction cuffs, is that what they are called? And you taught us a little bit about blood flow restriction training and recovery. Please tell us all about it. Tyler Nelson: So I think, at least for people who are out searching, people have a fair understanding of kind of what the principle is. Really, I got into it as a rehabilitation tool, because the concept and the general premise of the blood flow restriction training, is to create an anabolic response of the body while loading someone at a really low intensity. A lot of the literature has been around since the 70s, it was created by a physician in Japan. It has demonstrated that you can essentially put blood pressure cuffs- the ones that I use are created in Park City here at the Olympic Training Center. They have a device that essentially measures the amount of pressure that you are putting on a limb in millimeters of mercury, just like a blood pressure cuff would. Neely Quinn: They’re just a little smaller- or they’re a lot smaller. Tyler Nelson: Yeah, they’re a little bit smaller. I think mine are probably two inches, maybe two and a half inches in diameter. Kind of the gold standard brand is the Kaatsu brand, which are an inch in diameter. To purchase a Kaatsu unit that comes with a computer assisted device that constantly measures and changes the pressure based on the individual- because not everyone is going to respond to the same amount of pressure- those units are $3,000. Neely Quinn: Oh my god. Tyler Nelson: And they are exclusively trying to be a research based product. They’re trying to be an exclusive product. The gentlemen- Dr. Gundersen is his name- from Park City, and another physician, worked with the Kaatsu company. When they realized that, they left and started their own company, and these are the bands that I use. So you place the blood pressure cuff around body part. You can do it around below the deltoid and above the biceps muscle on the arms. You can also do it around the thighs as well. I usually do it around the arms at the same time, but you can do it around the arms and the legs at the same time. The whole goal is to create resistance- internal resistance- to the body. So if you are doing exercises to the local muscles and the forearm and the hand with the blood flow restrictions on, you’re essentially blocking the return, the veinous return of the blood back to heart. Neely Quinn: Okay so hold on, we’re gonna stop. I’m not sure people have a really good image of what is going on with these things. So in layman’s terms, you are putting these sort of like blood pressure cuffs on you, and then you are doing exercise while you are all pumped up. Tyler Nelson: Yeah, so you think about the Ultimate Warrior, right? Everyone knows who the Ultimate Warrior was, the WWF wrestler from back in the day? Tyler Nelson: He would wear elastic bands around his elbows and around his shoulders and around his knees and his thighs, because it makes your blood pump. It makes your veins stick out, right? It increases the pump experience. So the pump… imagine if you are doing a flexion of you wrist. 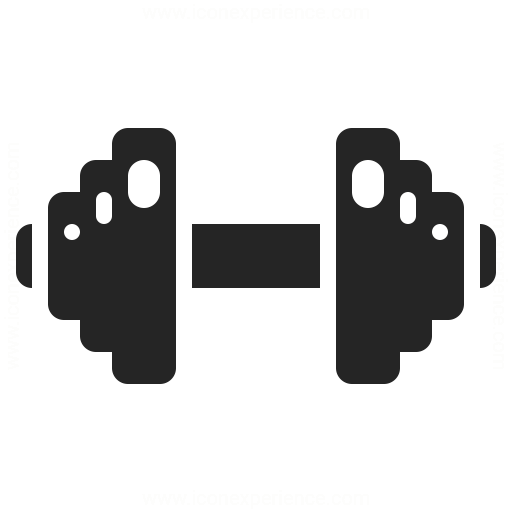 You’re holding a dumbbell and you are flexing your wrist with the palm to your forearm, your one rep max of that could be seventy five or eighty pounds. Let’s say eighty pounds to make it easy on the math- eighty pounds you can do a flexion of your wrist. So doing the blood flow restriction training, you can do more repetitions, but you can now only use forty pounds. You can use 50% of the load, and the science behind it has shown that you get an anabolic response. Your muscles swell a little bit, you create muscle hypertrophy- which is essentially just your muscles getting larger. You recruit the large muscle fibers, the type two muscle fibers, which are very important for powerful types of sporting events- climbing of which is one- with a reduced intensity of exercise. As a rehabilitation tool, I can take climbers with finger injuries and I can put the cuffs on them, and then we can have them do finger flexion exercises with a ten pound plate or a little gripper machine, and we can increase the anabolic response of their finger while doing very little stress to their finger. So the appeal is that you can get a really good anabolic response to training with very, very little stress to the body. That’s the premise. Neely Quinn: Okay. When I did it with you, you had us in the cuffs and then didn’t we do like twenty reps of really low weight? Tyler Nelson: Yeah, it just depends. There’s a couple of different protocols out there. The one that I usually do the most is three sets of thirty, which takes about forty seconds, forty five seconds. And then we will do thirty seconds rest. So it’s really important to have the work to rest ratio equal one, or be a little bit less. So you are working more or equal to the amount that you are resting. You are trying to build the pump, you’re trying to keep all the metabolic leftovers and drop the acidity of the local tissue in the working muscle, so you can recruit those large muscle fibers. The benefit of having the congestion in the capillary beds and the lack of oxygen by the buildup of Co2 is the type one muscle fibers only utilize oxygen. They can’t really function very well in that environment, so that’s house you can recruit the large muscle fibers- the type two muscle fibers- to do the work for you. Neely Quinn: And then does it also increase your vasculature so that you have more when you’re pumped? Tyler Nelson: Yeah I think a long term response would be increased angiogenesis, which is something that happen with other types of aerobic exercise. But if you are blocking the blood flow and forcing the muscle to do work, I don’t know if there is as much science behind that as cell swelling and hypertrophy. I haven’t heard too much about the angiogenesis, but the principle would make sense. I’m not sure that it’s as studied as well as training low level intensity without the bands on, which can also build your capillary beds. Neely Quinn: All I know is that I got really, really pumped and it was pretty crazy how quickly it happened. Tyler Nelson: Yeah it’s interesting. Neely Quinn: The weird thing was also I was like “I’m gonna be so sore tomorrow when I climb, I’m not even going to be able to climb”, because I was so incredibly pumped. And I wasn’t sore at all the next day, and so you’ve said that you use this for recovery too? Tyler Nelson: Uhuh, yeah. I use this as a rehabilitation tool as well, quite a bit. I mean, there’s low level intensity as much as walking or typing, right? Even if you put the bands on for twenty minutes and you just walk around, use a little stress ball that you get from a marketing event or something, just squeeze the stress ball for twenty minutes, it’s going to make you as pumped as if you were climbing really hard. 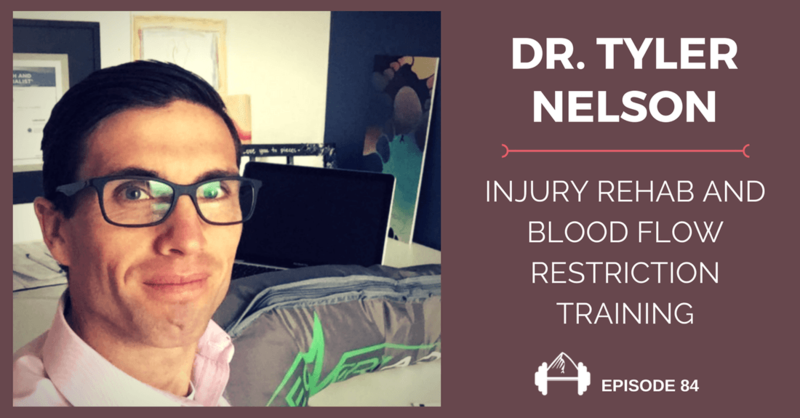 Tyler Nelson: So the benefit of having the blood pool there is you are going to get a hyper flush afterwards, and your system is going to really try and push all that blood out of the system. Neely Quinn: Okay. Have you noticed- oh go ahead. Tyler Nelson: No go ahead, I don’t remember what I was going to say anyways. Neely Quinn: Okay. Have you noticed your people, your athletes, are they getting a good response from this? Tyler Nelson: Yeah the one thing that I have noticed, and a couple of the younger climbers have done it a lot. The people that came in consistently over a couple- three, four week period- that were doing it twice a week- and they were boulderers- they were really amazed at how much longer they could hold onto the wall. Tyler Nelson: So I think it’s really good in regards to creating more of a power endurance effect. The only downside of having the cuffs on, at least for me, and I’ve played around with it for about a year and a half now, and I know there are some other people, Justin Wood and Steve Maisch have played with it as well. I spoke with them about a month ago a little bit, and they’ve been toying with it as well. I think there are a couple of groups around that are playing with it, but the one thing that I have noticed with my clients, is they had the ability to hold on longer. If you train yourself in a pumped state, that’s when you fall off right? Working under a pumped condition is really hard, and the benefit of doing that in a non-specific setting, meaning not climbing, is that you are not training yourself to climb with bad technique. 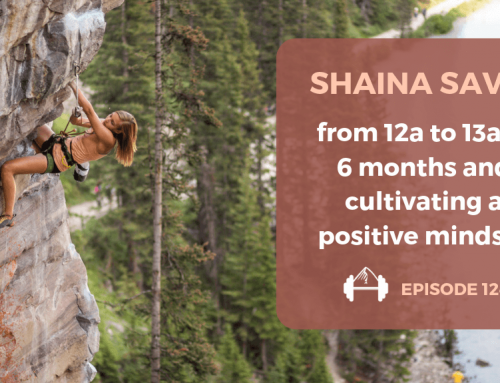 What happens when we get really pumped is we climb really poorly, and that’s never a good behavior to teach your brain, to climb really bad when you’re pumped. So this is a way to get really pumped, without having to incorporate the specific skill of climbing in it as well, which is kind of a good thing. Neely Quinn: Yeah, so these cuffs, they’re pretty expensive? Tyler Nelson: Uh, I think the ones that I bought with the case and the measurement device, these ones I think were $350 I think. Neely Quinn: Is there anyway to get around that, because I think a lot of climbers are going to balk at that. Tyler Nelson: I mean, there’s some other products out there. People has been as rogue as just wrapping elastic bands around their arms. Another subset of my athletic clientele that I treat in my clinic are bodybuilders. Bodybuilders will use an alternate wrapping device for a limb- for the arms and the legs. One thing I hear back from them is that it’s kind of hard to manage the pressure and keep the pressure the same. I usually tell people in my clinic that are interested in purchasing some, I contacted these guys. 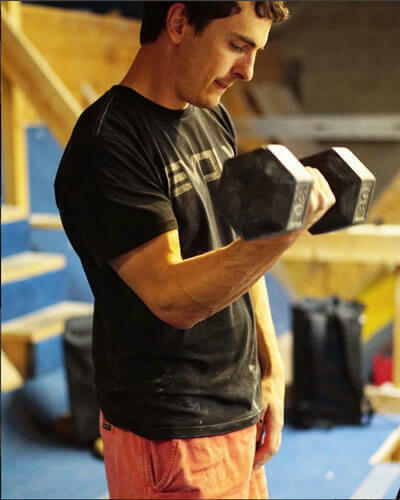 I wrote an article that Jared Vagy put on his website- the Climbing Doctor’s website- about BFRT, blood flow restriction training, and it’s an introduction article that people might be interested in looking at. We can reference it as well, that kind of talks about a lot of this stuff even more in detail, and where to put the bands and stuff. So I contacted this company and they were able to give me a coupon code, essentially, if people want to buy them. That’s on there as well. So that makes it a little bit cheaper, I think its 20% off or something. Tyler Nelson: But the one thing that I have noticed from them, is they say it;s really hard to manage the pressure, so I tell them that they should at least try a couple of times with a device that you can measure it, so then you have a general idea of what it is. There is some danger with making them really really tight and blocking the arterial blood flow. The goal of the blood flow restriction training and the restriction is pretty important, not occlusion, is making sure that you’re only blocking the veinous return, you’re not blocking the arterial blood to the muscle. If you do this a lot, then you are going to run into complications that you definitely don’t want in training. Tyler Nelson: As a physician I would for sure never tell someone to put a rubber band around their arm and start working out. I have clients that have done that here after they tried it with me, and said “Okay I have a general idea of what’s going on, how it feels”, because it hurts right? It’s not- the first time you do it it’s not very comfortable, it’s kind of something you get used to. So from my experience, from climbing, I only trad and sport climb outside, I’ve noticed that my endurance has gotten so much better because I am used to being pumped all the time. So when I climb and I get pumped, I’m like okay cool, my muscles are used to working in that condition, and my brain is a big part of it as well. Your brain gets used to being pumped, and I know I can do more because I’ve been training to get pumped. Neely Quinn: Yeah. Okay. Alright. Tyler Nelson: So I suggest people try a unit that has some measuring capability and then go from there. Neely Quinn: I mean is it at least- when you brought it up to us, I was very intrigued. It’s totally new, to climbers at least, and it’s a really efficient way to train. Hopefully this will pique some people’s interest. Tyler Nelson: People can look at my Instagram feed- there’s quite a bit of video on there. My in-laws, it’s funny, they think I’m obsessed with my forearms [laughs]. I mean, climbers are obsessed with their forearms, but I’m like, no really, I’m not just like posting selfies of myself, this is supposed to be a reference for people to use so they can kind of try this out. But we have a young doctor at the University of Arizona, in the fall hopefully we are going to do a research paper in Salt Lake. I’m going to recruit a bunch of climbers to do a four week protocol. We’re going to do a four week protocol, two times a week- a hangboard protocol, with the blood flow restriction bands. So we are going to split the group in half with half of them without them on, half of them with them on with a 50% offloaded hang board protocol. Neely Quinn: That’s awesome. Yay research, thank you for doing that. Tyler Nelson: Yeah, make it a little bit more specific to climbing. Because as of now, nothing is better for training the fingers than hangboarding, but hangboarding is also very strenuous on the fingers. If we can really try to find a way to get a good response without getting so much stress, that would be a really good thing. Neely Quinn: Yeah. Okay. You’re pretty nerdy, I’ve called you a super nerd I think, and I have a lot of questions for you and we don’t have that much time. I did want to ask you a couple of things about- and I mean that in the best way possible. You’re a really smart guy, you know a lot of words. But one of the things you talked to us about in the seminar was the different energy systems that people train as climbers. Is there any- I don’t know- brief takeaways that people should know as boulderers as opposed to route climbers, and what’s the most important things to know about what to train? Tyler Nelson: Oh I thought you were going to say shortcuts. Are there any shortcuts to getting stronger? Tyler Nelson: Because that’s what everyone wants, right? Everyone wants shortcuts to get where they want to go, to get there twice as fast. Uh, without going into too much detail about times and energy systems, I was training a couple clients last night and I was creating a new program for them. One thing that I have been incorporating with programs is having them take out their phone and really keep track of how long they are resting. If you think about every time you go to the gym,and you’re just going to do a bouldering session, it’s really easy to get sidetracked, and it’s really easy to get in there with your friends and just start climbing nonstop, back to back, with forty five seconds rest, fifty seconds of rest, and not really resting enough. 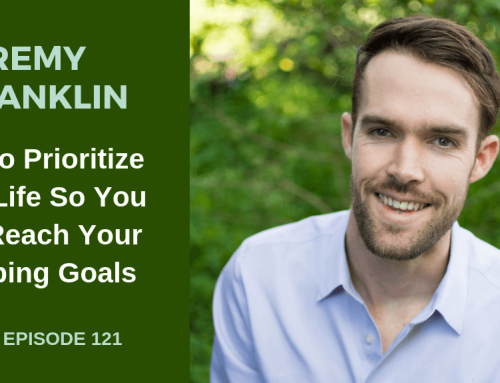 You really want to think about what your goal is for a particular day. That’s where a good strength program comes in, whether you are really trying to gain strength on that particular session, whether you are really trying to work on your power output, or whether you are really trying to work on your power endurance or your endurance. Just by keeping track of the amount of rest that you take is a really good starting point for people. I usually tell people who don’t know, just try to equal the grade of the problem to a minute of rest. So if you do a v1, take a minute rest. 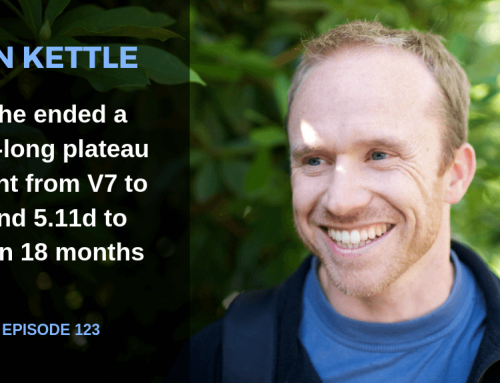 If you do a v2, take a two minute rest, at least during your warmup, and see how you feel. I’ve noticed that a lot of people that will just do something really simple like that- because if you are bouldering, the benefits of going in and bouldering is practicing climbing, right? You really want to practice the skill of climbing while you are in there bouldering. Even if you are practicing something, even if you are doing an easy route and practicing poorly, that’s a waste of your time. It’s not good efficiency in terms of your training. But making sure that you take that rest will really optimize how well you practice, and the amount of effort that you can put into a bouldering problem. If you are doing things that are really hard, if you are climbing v10 in the gym, ten minutes of rest is maybe a little long, but at least seven to eight minutes of rest, minimum of five, is probably a really good thing, if you really want to try hard on your bouldering problem. Neely Quinn: Are you talking about like, max sessions? Max bouldering sessions? Neely Quinn: Well no, I’m saying that amount of rest. Like, you wouldn’t tell someone to do that if they were going to train power endurance and doing 4x4s, this is for a session where you are projecting? Tyler Nelson: Yeah, this is just a general- someone is going to the gym and they want to boulder, right? Following a training program is really good, but following a training program is really annoying. Sometimes you just want to go in and have fun with your friends, sometimes you just want to go climb. The last week I haven’t really been doing any specific training, I’ve just gone bouldering, and I’ve had a ton of fun. I go in, I keep track of my rest, and I just try hard when I boulder. I don’t have any specific goals right now, because my back has been hurt. I’m just trying to get back into fitness and not worrying about it. Just for general, or even just your warm up, making sure that you warm up for your 45 to 60 minute session, making sure that you get adequate rest is really important, then you want to work on your specific goals. Certainly if you are doing power endurance work, if you’re doing things where you are trying to make yourself work hard but for a longer period of time, then you want to really get into the interval training. Then you want to for sure make it a point to have an interval timer, or make sure you have your phone ready, so you can do equal the work to rest ration, and then there are a thousand ways you can modify how hard you are working and how long you are resting. You can increase how long you are working, and reduce the how long you are resting, and how many sessions per week. That’s a whole obviously complicated endeavor- that’s a whole lecture. That was the whole lecture, about how you are going to train your aerobic system as opposed to your anaerobic system, or some mixture of it, this is how much rest you need, you know. All of it. I usually give people the basics of it. If you are trying to train power, you need at least five minutes of rest. I did a video this morning on Instagram on campusing, so I had someone do just a simple ladder progression up and down a campus board. Coming down a campus board is really hard, and it takes about fifteen seconds at this gym, and he went pretty fast. The benefit, what the whole goal of dong a power routine on campus board, is to make sure you’re moving really fast. If you’re doing a campus board and you hit a rung and you hang out there for a second and then you move up again, that’s not really training power on a campus board. The whole point is to pop really fast, and get that contact strength. Training power recruits all the muscle fibers that you have neurologically wired really quickly. You want to make that movement really fast. So after fifteen seconds of work, you probably want to take two and half or two minutes worth of rest after one up and down session. If you sit there and watch people, they’ll do a campus routine, mosey around for a minute, and then do another one. So if you are trying to train power, you want to make sure that every time you do it, you are giving 100% effort. That really requires a work to rest ration, 1-10 or 1-20. So they need to be much higher. Neely Quinn: Yeah it requires a lot of patience. Tyler Nelson: It requires a lot of patience, and it’s easy to get distracted. That’s why I really use my phone as a means to track how much rest I’m doing. Really, set a timer for five minutes. Do whatever you have to do for five minutes. Walk around. But getting to where to need to go really requires you to have little bit of patience, and I know that’s a really hard time to teach people. Neely Quinn: Yes, it is. Tyler Nelson: It’s a hard thing to do- a hard thing for me as well. Neely Quinn: It’s a good time for games on your phone. Tyler Nelson: Yeah, I mean, I had a couple of people ask me a question after that and say “What about going down? Is going down as helpful as going up?”. And I said “Not really”. I had Rusty go up and down just because I wanted to track the time, but going up and literally putting your feet on and climbing down and going back up again, would be the same as going up and down. Probably a little bit more specific to go up and than it is to go down, and it’s less stressful on your fingers and elbow flexors. Tyler Nelson: I mean, if you think about the movement of climbing, what do climbers usually do? Climbers aren’t climbing down usually. Your goal is to get on top of something, or climb up something, not climb down something. So going down is a really good way to eccentrically load your muscles, which is very, very stressful to the muscles, but it’s not very sports specific. So the cost to risk ratio, I don’t know, it leans on the side of it being that much more- I’m sorry, the benefit to cost ratio- I don’t know that it’s that much more beneficial, and it’s not worth the risk in my opinion. I actually went, the last weekend I was in Vegas to the NSCA national conference, and there was a really good presentation by a couple of pHd researchers from Oklahoma. They talked about meeting muscle cross sectional areas, and they’re saying “Are we really measuring muscle hypertrophy, or are we just measuring cells swelling with eccentric exercise?”. So when you take a muscle and you put a load on it and you lengthen it under load, if that load is pretty high, it’s very very stressful on the sarcomeres on the small units on the muscle fibers, because they’re trying to lengthen, but they’re trying to stay tense the whole time. That’s a really, really good way to make yourself sore. So these people said, “Well, we’re measuring this cross-sectional area after we do isotonic exercise”- which includes the shortening and the lengthening of a particular movement. They said “Well what if we just did the concentric portion and we measured it afterwards?”. Because it’s really really hard to tell unless you cut into someone’s muscle and really can do a histology sample to tell whether your cells are actually getting bigger and more swollen, or they’re just swollen in general from the eccentric exercise. So they took a big sample of people and they did concentric only exercise- so they didn’t do any of the eccentric part- they noticed a really big strength improvement and they didn’t notice any increase in the cross-sectional area. Tyler Nelson: Which was kind of interesting, because they did concentric only. One of the things that I really, really love to have people do, is concentric only pull-ups, which I know Steve is a big fan of that. I’ve seen people get super super strong doing concentric only pull-ups, because the downward part of the pull-up is the really hard part. Neely Quinn: Yeah, so they would go up and then just jump off? How would you do that? Tyler Nelson: No, I think I had one of the young climbers here, and he could do concentric pull-ups, one set of five, with like two hundred pounds on his harness. So he would just- he just had so much pulling force. So I would have them put a chair next to the pull-up bar, and just when they pull up, put a foot on the chair and lower themselves down. Tyler Nelson: And then start again- pull up really hard, put a foot on the chair and then lower themselves down. Neely Quinn: So would that change anything about how you would tell people to lift weights, other than weight pull-ups? Tyler Nelson: I think doing concentric only of anything is probably good. And I don’t have people do that all the time, I have them do it when it’s heavy. Deadlifting I think is another thing where it’s really good to drop the weight after you do the concentric part, because the lowering part is kind of… not dangerous, but more stressful part of the lift. So I tell people who have back pain, find somewhere that has bumper plates and do the concentric part and then just drop the bar. Unless you’re someone that has to do the downward part for your sport, or for a competition or something- of which climbers don’t- climbing is all about the concentric part. It’s all about that hip thrust. So there’s lots of different ways to mimic that movement and put a load on it to get strength gains, but doing the concentric of anything is more climbings specific. Neely Quinn: Yeah and then it’s more efficient because you aren’t wasting energy going down. Tyler Nelson: Well if you do a campus board routine- let’s say you’re doing up down ladders, just a simple ladder progression, and five sets. You can do ten sets just going up. So you’re going to do a little more training, something that’s more specific,and you’re going to be a little bit less sore afterwards. Neely Quinn: That’s cool, that’s great. Tyler Nelson: So I think there’s a lot of good- I mean, some exercises are a bit obnoxious to do concentric only, so use your best judgment. Neely Quinn: Yeah I mean I’m trying to imagine how you’d do it with a biceps curl. Tyler Nelson: You’d have to have some sort of apparatus that holds it up or sets it somewhere. But literally doing a concentric pull-up, just do it supinated where your palms are facing you, and that’s a bicep curl. It’s the same exercise, it’s just in a different position. Neely Quinn: Oh yeah that’s true. Tyler Nelson: If people have local trainers or strength and conditioning staff that understand, they will be able to cater to those very easily. Neely Quinn: Hmm. Okay. Well, how can people find you and do you write anywhere? Like on your own blog? How can people hear from you more? Tyler Nelson: So I need to update my website- I built my website when I was in graduate school, because I was too cheap to have someone do it. Now I’m kind of regretting it because it’s not that great. Now I’m like to the point where it’s going to be expensive to- you know, I need to update mine. So I haven’t sent a lot of people to mine and started writing on my blog, just because I want to update my website. I don’t do a ton of writing just because I don’t have a ton of time to sit around. Most of the time when I’m not working, I’m usually trying to read and stay up on stuff, so I don’t have lots of time to write. But people can find me on Instagram- I have an Instagram account that I use. I try to not use it too much, but I try use it mostly for the business and then intermittent pictures of my cute kids. My Instagram name is @C4HP. Then that one article that I’ve created is on the Climbing Doctor’s website. I’m probably going to be planning on doing more of that in the near future, but it’s just hard to find time to do stuff. Neely Quinn: Yeah I know what you mean. And what does “C4HP” stand for? Tyler Nelson: C4HP is just the name of my business, which is Camp 4 Human Performance. Neely Quinn: Yeah, that’s what I wanted. Tyler Nelson: So there was a really cool clinic in Missouri where I went to school. The name was CIHP, which is Central Institute for Human Performance. My whole point behind that name- I didn’t want to isolate myself to being a chiropractic clinic. People hear chiropractic clinic and they think of goofy chiropractors, or they think “I’ll have to go in there all the time”. So I tried to create a name that represents kind of what I want to do. And the sports massage therapist I have working for me is an exercise specialist as well, so he’s a great guy for people locally that I refer to as well. Then I have another young doctor that is probably going to come work for me who is also a climber. We are trying to make a strength and conditioning facility where you can get adjusted here if you want, you can get physical therapy here if you want, you can get massage therapy if you want. We are trying to make it more of a holistic thing. And I’ve spent a good amount of time in Yosemite, that’s kind where the Camp 4 comes from obviously. Tyler Nelson: I think most climbers get that, other people have no idea. And it’s funny, when my dad, when we started the business, he was like “What does that mean? People don’t even know what that means”. And I was like “I don’t care”- and I know that maybe sounds totally oblivious from an entrepreneurial standpoint, but I was like, my climbing crew totally knows what’s up. They’ll get it. Neely Quinn: It’s the same thing with TrainingBeta, they’re like “Beta? What?”. But if people wanted to come see you in Salt Lake, how would they do that? Tyler Nelson: People can call my clinic, I think the phone number is on my Instagram account. I’ve had a really good opportunity and I’ve been able to work with a lot the Momentum Climbing Team athletes- so a lot of those young, really strong, amazing athletes, I’ve been able to treat in the clinics. In the Momentum Gyms, at least in Utah, I have a sign in every one of the gyms with my business name and my phone number on it. That’s a good way they can find me. I think that and Instagram is probably sufficient. I mean you can obviously Google the business name. Neely Quinn: And you don’t work with people remotely do you? Tyler Nelson: I have a couple of clients I’ve written a training program for, but it’s just hard. I’ve gotten used to face to face interaction and one thing that I’ve gotten really into lately with my clients is doing testing. It think it’s really important to get a baseline on where people are, and I’ve just never done it remotely. I don’t know, I’m just not comfortable in that setting. I’ve certainly done it, and I’ve had phone conversation with people, if they have specific questions about injuries or questions about program design that don’t have a coach, or don’t have someone locally. But I mean, I really think it’s such a better practice to have someone locally that you can actually go to the gym with. It’s one thing that I notice with my clients, and I did this last night. People don’t push themselves as much as they can. I had a young, really strong climber last night that I was training, he and his wife, I was training them both. He was essentially doing almost the same amount of weight deadlifting as she was, and I was like “What the- that doesn’t make any sense, you’re way strong”. So right out of the gate we had him almost double the amount of weight that he was deadlifting before, and he was just amazed that he could do that much more. I think having someone physically there is always really good practice, but if people want to contact me remotely, we can chat about stuff. Neely Quinn: Well, yeah I respect that and appreciate that you are offering these service to people in the area, so thank you. Tyler Nelson: Oh, yeah, you bet. Thanks for having me, it’s been fun. Hopefully we didn’t get off too much on a tangent. Neely Quinn: No I think tangents is where we wanted to do, so we did alright. Thanks Tyler. Tyler Nelson: Yeah you’re welcome. Neely Quinn: I hope you enjoyed that interview with Tyler Nelson, I certainly did. Hopefully you were able to keep up with him, because there were definitely times when he was talking where I was working pretty hard to keep up with what he was saying [laughs]. But that’s kind of the beauty of him- he’s just a very scientific guy, and puts that knowledge into his patience and clients, which I really appreciate. I’m really looking forward to doing another seminar with him- Steve Bechtel is putting on another training seminar in October. This is all unofficial, but it will be in October in Salt Lake City. I’ll be doing nutrition, Tyler will be there, Charlie Manganiello, Steve Becthel, and I don’t know who else. You will all be invited to that, so I will let you know when there are more details. 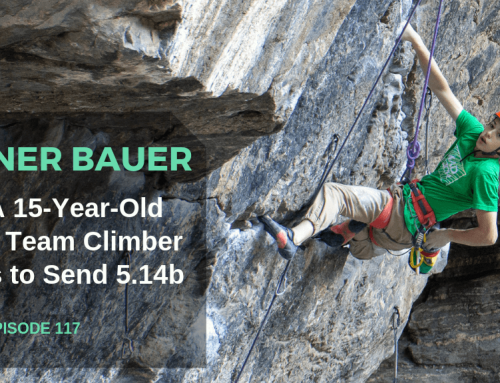 Coming up on the podcast, I interviewed Esther Smith last week about back and neck issues for climbers. It was a really good interview, as always she has plenty of resources to offer you on those things too, so that will come out next week, or maybe the week after while I’m in Norway. So stay tuned for that. Then that’s pretty much all I’ve got for you. I hope that you are doing well, climbing hard, training smart, and having fun outside during the summer and almost fall. I’ll talk to you soon, and thanks very much for listening all the way to the end.